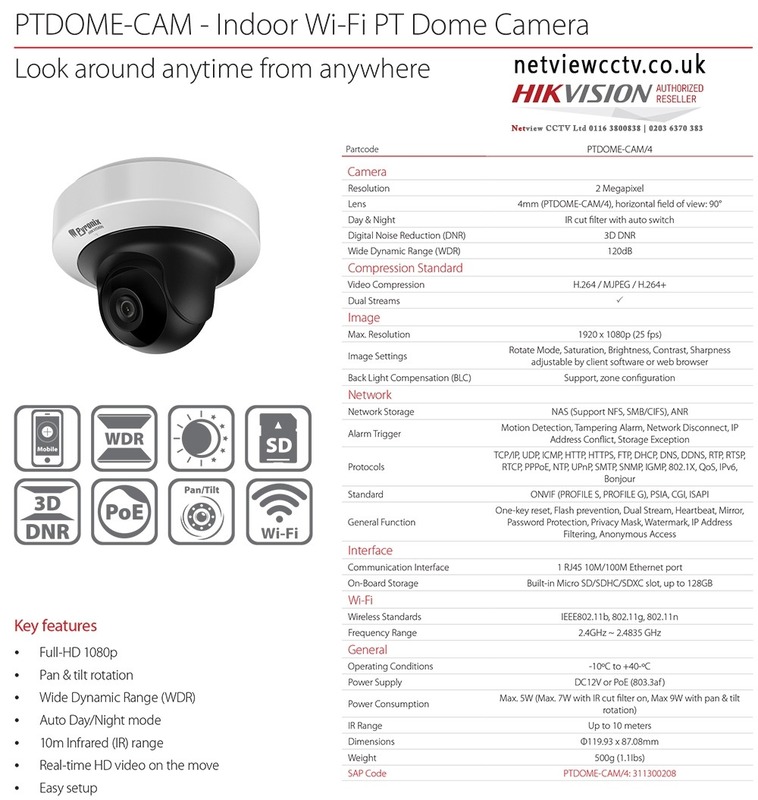 The Pyronix PTDOME-CAM is a 2MP HD 1080P indoor Pan & Tilt camera. Its unique feature is the ability to remotely move the camera lens Left to Right (PAN) and Upand Down (Tilt) to look around the property with 180 degree pan and 75 degree tilt ability at the tip of your finger via the Pyronix app. The camera also comes with dual streaming, day and night function, digital wide dynamic range, power over ethernet & wireless networking Wi-Fi for quick and easy installation.